This is executing it in a CMD with the only gpg on path being above installation. 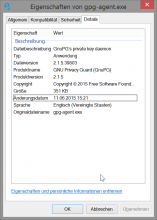 Most "normal" commands (encryption, decryption, key editing etc.) work fine though. phry set Version to 2.1.5.
phry added a subscriber: phry. does not support GnuPG 2.1. 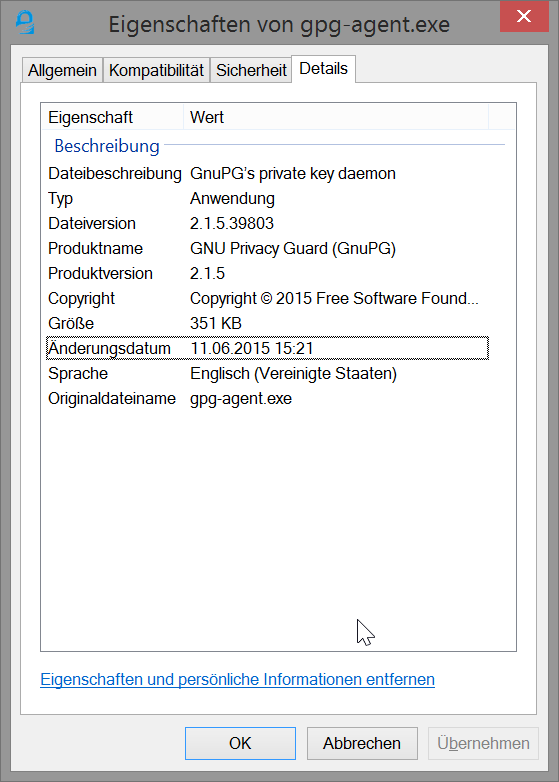 Please de-install gpg4win first. 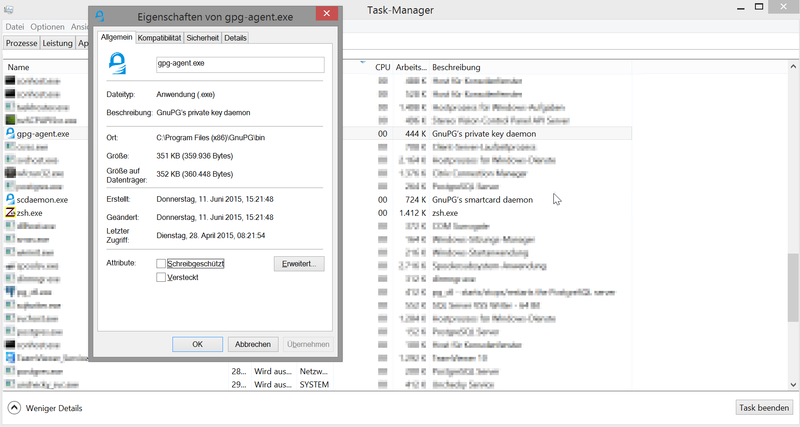 The gpg-agent process running was definitely the 2.1.5 version (see screenshots). But nontheless, uninstalling GPG4Win solved the problem. to show the version of the running gpg-agent. definitely not the one from GPG4Win. to a current version to re-check the behaviour. between the command and the /bye, I don't get the "Unknown IPC Command". knowing how to handle it, I think it's no real problem.